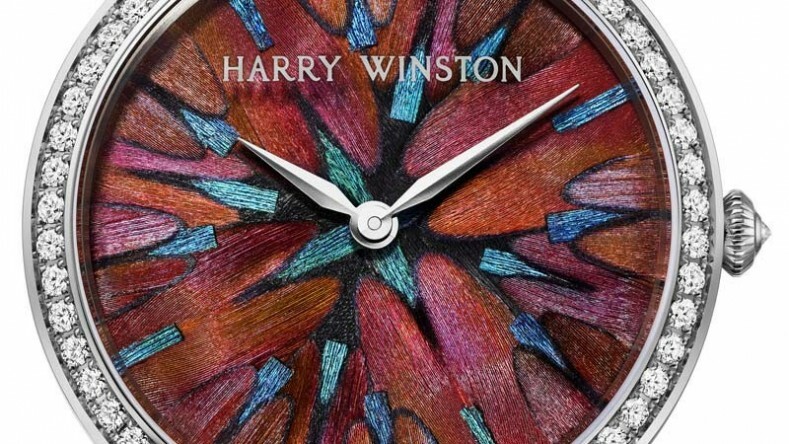 Harry Winston’s lineage of timeless timepieces has captivated watch aficionados over the years. 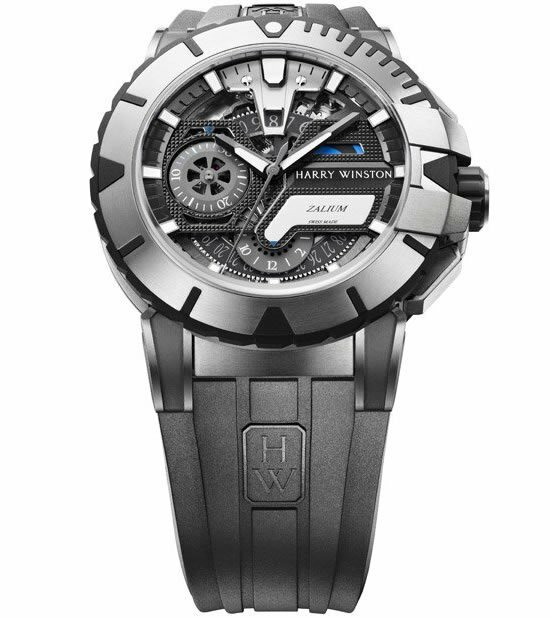 Inspired by the classic American jukebox concept, the all-new Harry Winston Opus 14 watch has been announced, much to our delight. 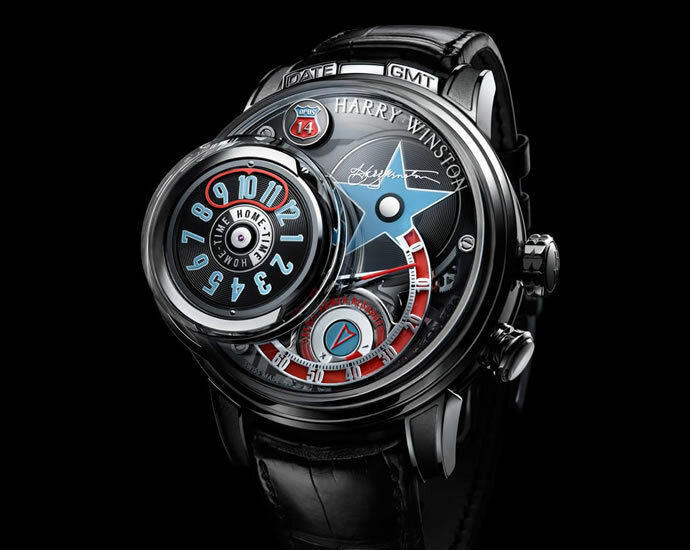 The watch hyper-mechanical watch had been sanctioned to the core team behind the Montblanc Metamophosis, Frank Orny and Johnny Girardin. 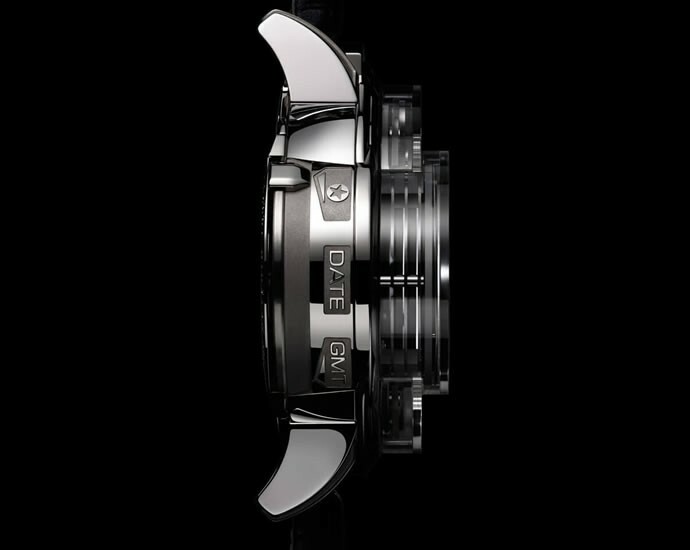 Made in white gold with a series of stacked dials on its face, the watch measures 54.7 mm in diameter. The case is rather huge and easily accommodates the jukebox function, which is a patented automation feature. 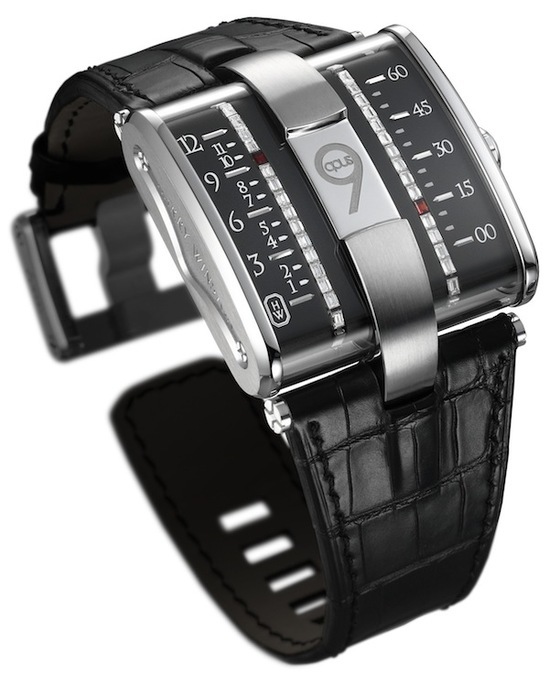 The ‘home’ hour is situated at 8 o’clock whereas the minute display is at 4 o’clock. 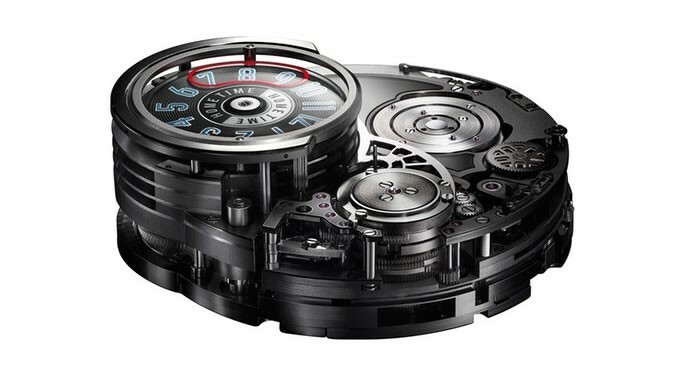 Among the many tiny intriguing components of the watch that complete the concept is the disk in the form of a miniature record. 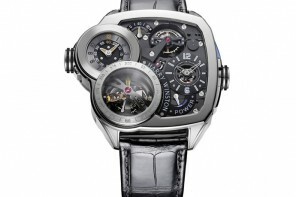 It slides out from underneath, exposing one of the four displays. 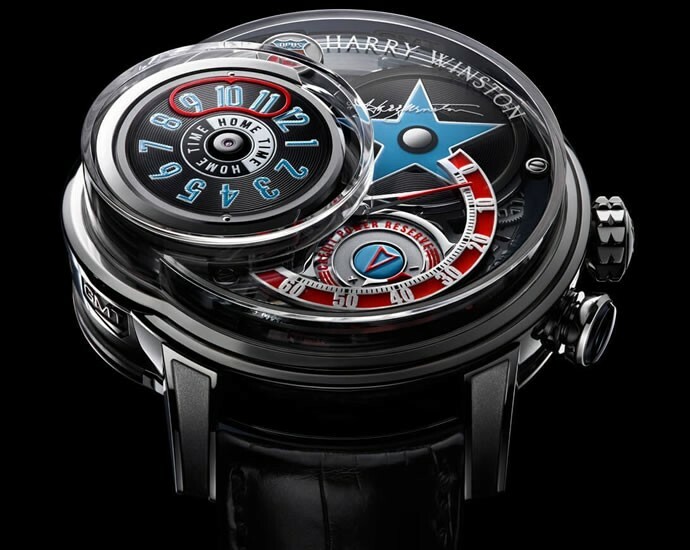 The Harry Winston Opus 14 is a picture of synchronization between 1,066 components. 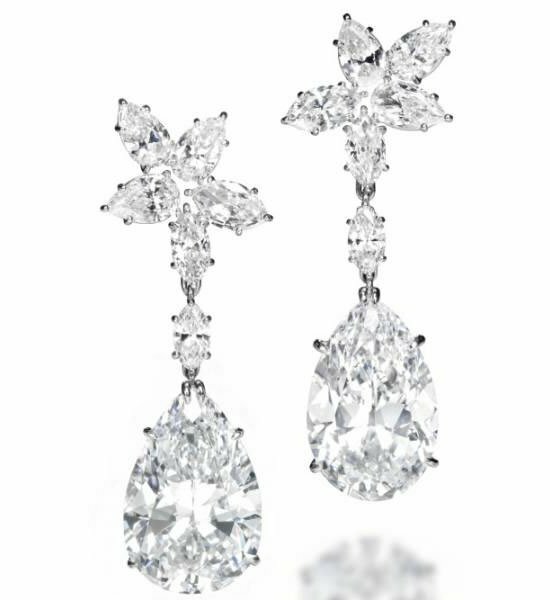 Decked with the splendorous 124 jewels and 31 bridges, the offering is more than palatable. 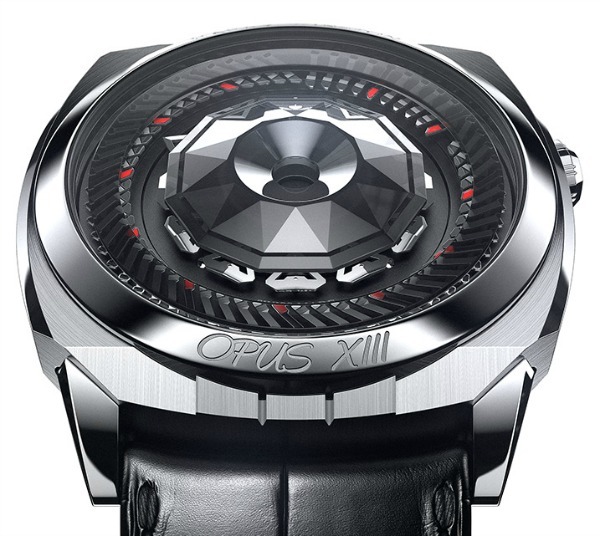 The Opus line of watches have been scintillating on their high perches in select shelves since 2001. 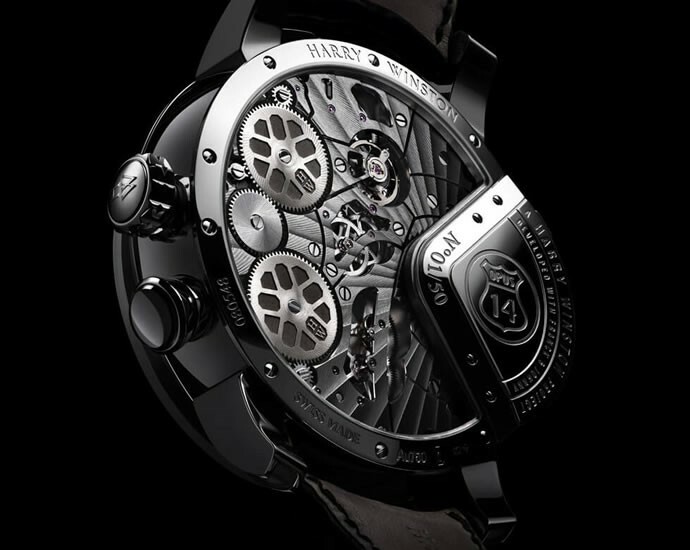 The video rolled out by the company details all the complications and their bearings on the design of the watch that is truly a marvel to behold. 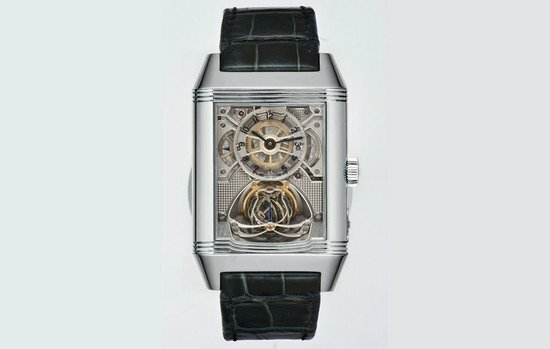 The 18-karat white gold watch will be limited to 50 pieces. 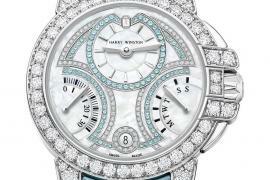 It will cost 428,000 ($434) Swiss Francs.